First, thanks Brent for the title and the audio clips! Second, have you guys ever done anything backwards? That’s how I did this one, I started from the back and then went to the beginning… weird, but fun! LOL! Third, this is Taking The Stone in a little over 2 minutes. Download 8.58MB file here (261 hits). 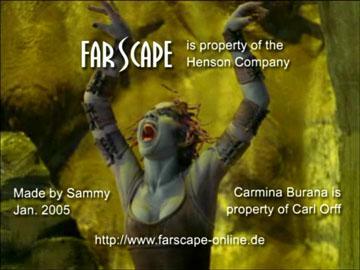 Posted: January 5th, 2005 under Farscape.